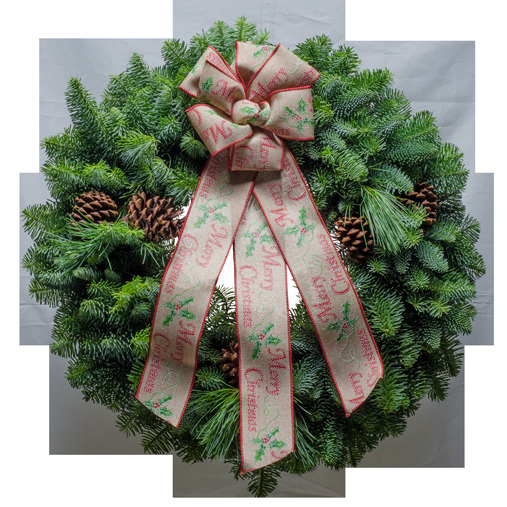 You won�t believe that the bow on this pretty country style wreath isn�t handcrafted embroidery or cross stitch. It really looks like Grandma spent hours making it just for you. It looks very folksy and is in a country style. "I greatly appreciate the beautiful Christmas wreaths. As always, I look forward to getting a 'piece of home' in the form of a Christmas Forest wreath. I really miss Washington."